Longest 28 days of my life. February was a beast. And not just because our food spending once again went off the deep end. We’ve a had a brutal winter here in NYC, and spring will be welcomed with open arms and a victory dance. We’re hoping March is better in every way. March is a big month for us. It’s our last month to gear up for baby #2’s arrival. We’ve got a weekend away planned, some visitors coming into town, and a long list of cleaning and organization to get done before April. I’ve already told Johnny I want him and Sally to just leave for several hours one Saturday so I can deep clean every inch of our apartment like the crazed pregnant woman that I am. 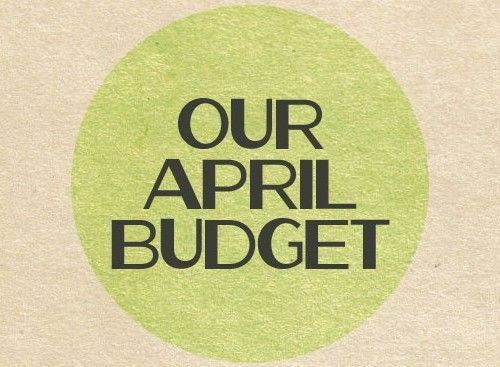 It’s also very important that we stay on budget this month since we have a pricey little bundle coming our way. But hospital bills and the promise of sleep deprivation and blowout diapers can’t damper our crazy excitement to finally meet the little lady! We went over on our grocery spending again! By $150 this time. But we did a ton of stocking up at Costco that we won’t have to do again for several months — frozen chicken breasts and ground beef, paper towels, toilet paper, butter, shredded cheese. Okay, the butter and shredded cheese is weird to buy in bulk, but they’re so expensive anywhere else in NYC that I had to. Our electricity bill surprised us and was much more expensive in February, so we’ll be going back to our original budgeted numbers for that category. We went $30 over in our Everything Else category, mostly because I went ahead and stocked up on some newborn essentials, like a new nursing bra and diapers and wipes. We stayed within or under budget for all of our other categories and still managed to meet our savings goals for the month. We also got our tax return, which inflated our savings by several thousand in February. But guess what? It’s all going in a 529 college savings plan pronto (more on that soon). We finally found out our new health insurance premium, which is currently $0. But when baby #2 makes her debut in April, it will be changing to about $30 per month. Sally’s started a pre-preschool program near our house. It’s just two hours of mommy-free time twice a week, and she is loving the independence! It’s a small program with three other children, and it averages about $15/hour, which is about as reasonably priced as it comes in NYC. It’s been great to see her separation anxiety disappear as her social skills blossom, and we’re also really happy for her to have some guaranteed structure and social time once the baby comes, too. All that said, it’s added $300 to our monthly budget. Can’t believe March is already here! Cheers to a clean budgeting slate this month. 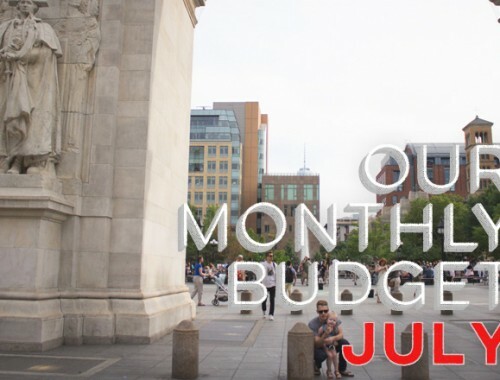 How is your 2015 budget coming along? It’s never too late to get the budget ball rolling! I don’t base my budget by month. Instead I have to plan it on a bi-weekly schedule, based on when I get paid. Is that normal, or am I doing something wrong? I also base my budget on my bi-weekly pay schedule. I have all my recurring monthly bills written on my calendar so I’m prepared for them and know where they fall in my pay-periods. For everything else it’s much easier for me to plan for just two weeks instead of a whole month. I take my entire pay at that time and divide it up into my budget categories, including cash envelopes. 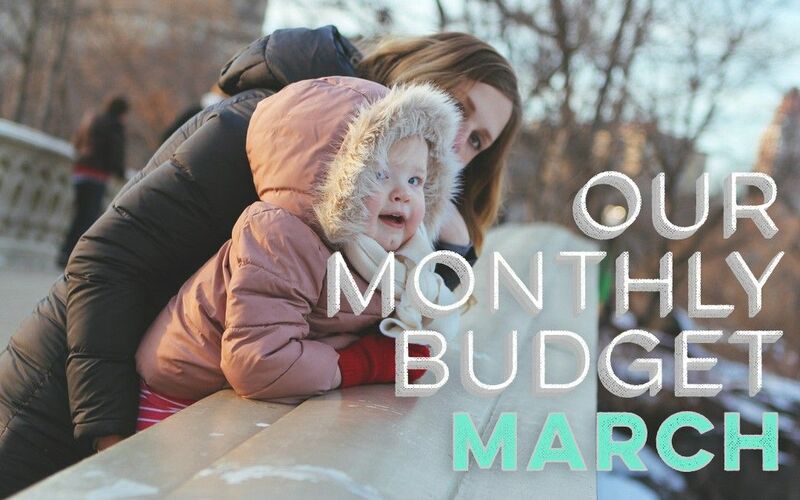 I may move up to monthly budgeting at some point, but I need to be able to regularly accomplish my *smaller* budget goals first before tackling money management for a whole month at a time! That’s great! It sounds like your system is what’s working best for you, and that’s the key! Good work. If it works for you, it’s not wrong. I do mine biweekly as well. Oh February. It may be short, buy oy vey. After reading your Jan breakdown, it prompted me to try a whole month or writing it all down- what a month I picked. 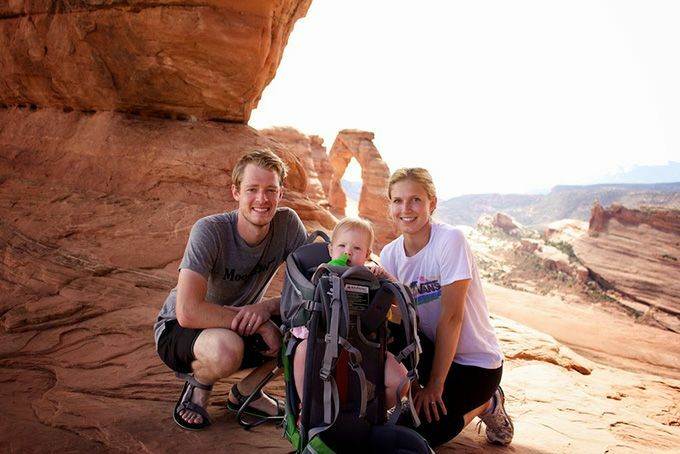 After saving like misers, we got a wicked seat sale on trips we had been hoping to take with our kids this summer. So besides that (which will come out of savings), we did pretty well. I enjoy reading your dollar by dollar zero-based budget. I have been not going all the way to zero, just leaving extra un-allotted money as a sum on my budget. But I think it’s too easy to spend it more than once, so i need to get nit-pickier. (Did I just make up a word?) That’s been my lesson for this month. Well done. It can be kind of overwhelming, which is why we just take one month at a time. It sounds like you guys had a great experience tracking every cent. Keep up the good work! No, I think that’s great! Whatever works best for you is the right choice…. there’s no one way to do it, and it seems like you’ve found the best option for you! Hi guys! Welp, it won’t be long now, eh? The pitter patter of little and big feet – as daddy and Sally go chasing after baby #2 (once she starts crawling)! Time does pass quickly ya know. Happy to see that your budget is still under control. Being retired, ours is pretty stable, month to month, although income tax time is coming soon enough and I do know know that we’ll need $$$ for that (since we no longer have regular tax payroll deductions). And so it goes, eh? 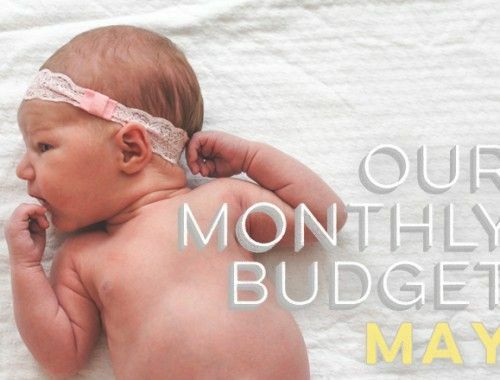 Yep, this was our last normal month of budgeting before the baby arrives. We’ll see how we do once we’re budgeting with extreme sleep deprivation! Oh good! I’m never sure if sharing our budget is helpful, so reading a comment like yours makes me happy! I’m glad to hear that Sally is enjoying pre-school. I think your budget looks pretty good. Keep up the good work. Sally is more than just enjoying preschool… it’s the highlight of her week! And, let’s be honest, I’m enjoying that time to myself, too! I like the 1st of the month when I can turn the page and start all over again with a clean slate. All is forgiven (sort of) and you can check and see where you went wrong last month. It is those little “ah-ha!” moments that make budgeting work in the long run. February was my first month without a mortgage payment (really a double payment because I was throwing every penny I could scrape up to throw at that last debt). Did I go crazy? Did I buy anything off of that long wish list I built up over all those years of saving? Nope. What I discovered is that my spending habits are just that – habits – and they are weirdly hard to change. I ended up with a 70% surplus – meaning that I lived on just 30% of my income last month. The point I am struggling to make is that budgeting may have a longer lasting effect than you might think. It changes the way you think about money. I suppose you could say it helps you see what is important to you – since you can’t buy everything. Agreed… I feel the same way at the beginning of each new month. Awesome job on paying off your mortgage! That’s a great achievement. And you’re totally right… budgeting is important for so many reasons, one of the most important being how it changes your outlook on money. It definitely sounds like it’s changed yours.